The 3138 Challenger II Elaboration offers the professional level player a unique instrument designed for excellent performance. 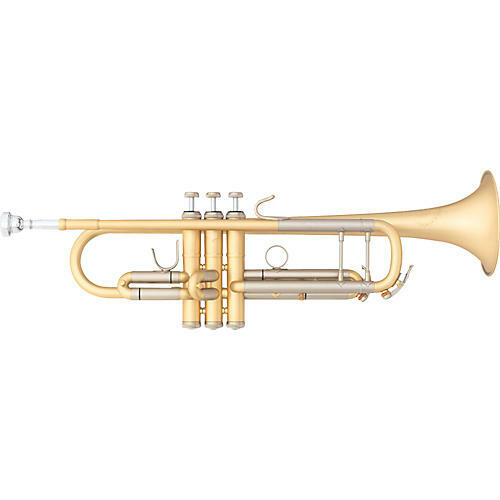 The 3138 Elaboration Trumpet features a .459-inch bore with a lightweight 4.9-inch one-piece hand-hammered #37LT bell for outstanding all-around performance with a quicker response. The Challenger II Elaboration also features a non-gloss, pre-aged finish similar to a vintage matte-style instrument.